Today Sylvia and I are launching our Lila dress & jumpsuit pattern. When Sylvia asked me to develop this one together I just couldn’t say no. :) The basic Lila dress we started from is a super comfy and easy dress to put on. It includes no zippers and is designed for knits. Along the way, we added more and more options. In fact we couldn’t almost stop adding features. :) A jumpsuit, reversible dress, wrap bodice and gathered skirt where included. 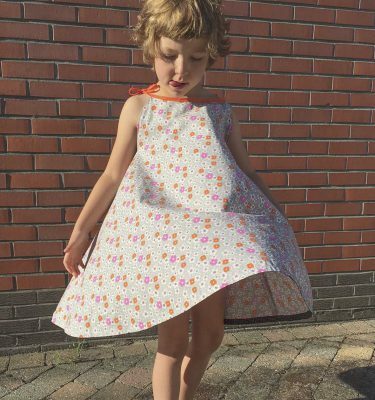 In fact you can sew a complete wardrobe for your kids with this one pattern! 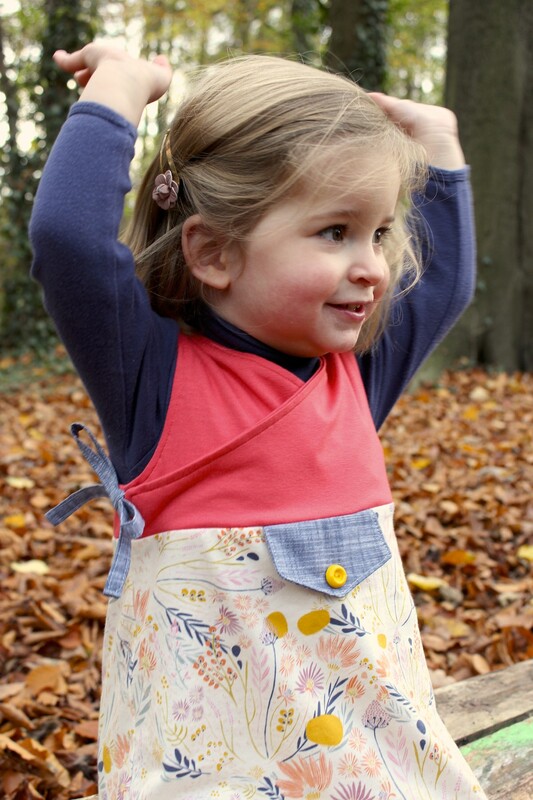 The Lila dress/jumpsuit pattern is a cooperation between Compagnie M and Lily & Woody. The basic dress is an A-line jersey dress with a box pleat and faux flap pocket. It’s easy to sew and doesn’t require a closure. You can alternate with the wrap bodice or create a completely different look with the reversible dress. Do you prefer a more frivolous style? Than the gathered skirt is a nice alternative. 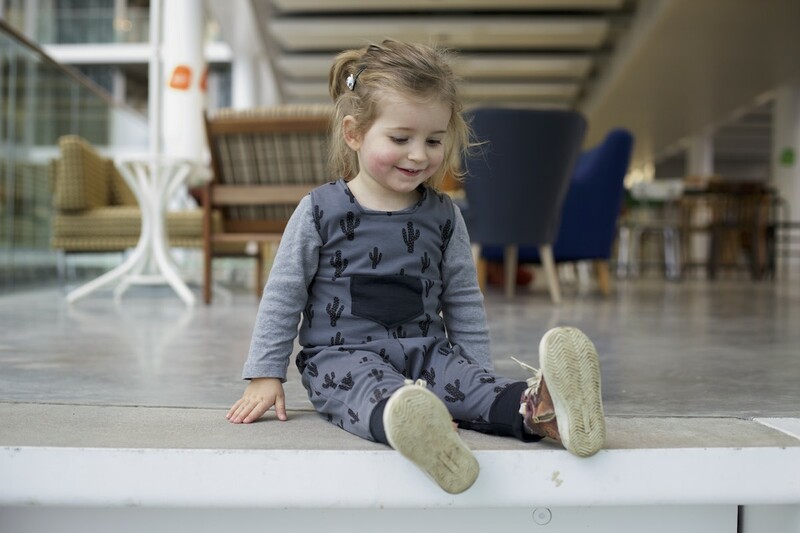 For boys or tough girls there is the harem jumpsuit. Vary to your choice with a collar or one of our three pocket options. I drew all pattern options and graded the pattern in 7 sizes. Together we worked on the instructions. The instructions are as always really detailed. Sylvia came to my place to take pictures for the instructions, so in fact you can’t tell the different with my previous work. :) For me that was really important. Every though this is a co-project, I wanted to reach the same level and I’m sure we did! The basic Lila dress includes a square neckline, faux flap pocket and an A-line skirt with box pleat. The wrap dress with ties is a minor alteration. Add a gathered skirt for a more frivulous result. And last but not least the pattern includes a jumpsuit! Suitable for both boys and girls! The Lila dress & jumpsuit is available as a PDF and PAPER pattern. With the code LILA10 you get a 10% discount till the end of the week. Feel like being inspired? Then I have great news. This week about 25 seamstresses will show their Lila dresses and jumpsuits! And last but absolutely not least, Sylvia and I organised a give away tour. Seven Belgian fabric webshops will give away a fabric pack specially selected for this pattern. Today we start with the new Soft Cactus collection sponsored by Naomi herself. 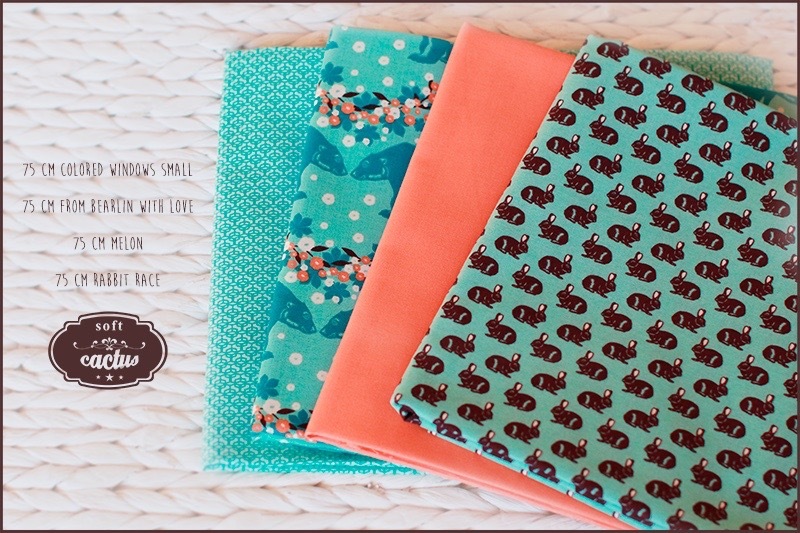 Thanks a lot Sylvia for this great co-project and Naomi for sponsoring a great fabric pack!!! Leuk om te horen: bedankt! Het was een super ervaring van de eerste brainstorm sessie tot deze spannende lancering! Heel trots op ons patroon en de hele Lila collectie! Doe collectie is uiteindelijk toch wel impressionant geworden he. :) Dikke duim! Waauw, ik ga het meteen kopen!! Bedankt voor je bestelling Barbara! oh zo een tof patroon. Spijtig dat mijn dochter de meeste opties voor kleinere kindjes vindt. Ik zal het haar nog wat moeten tonen. De Lotta zag ze in het begin compleet niet zitten en nu is het haar favoriete jurk. ik moet gewoon het perfecte voorbeeld vinden in de aankomende testers-blogs. Ik kan niet wachten! Ik heb er nog veel te naaien om alle optie uit te proberen! Bedankt om zo ijverig mee te testen!!! Leuk patroontje én leuke stofjes, komt helemaal goed! 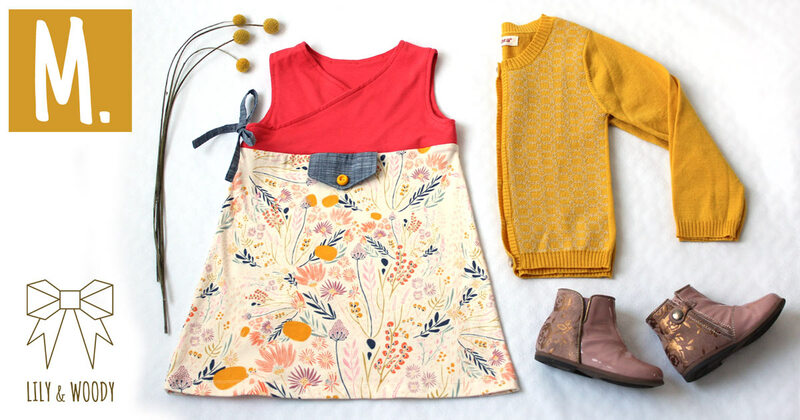 Absolutely adorable pattern and LOVE the gorgeous fabrics pictured!!! Thanks a lot for your sweet feedback! Love the entire collection – especially the wrap dress! PLEASE make this available in larger sizes (6-12) – they’ll also be everyone’s favorites! Wishing you continued success and expanded sizes! Super tof! En zo leuk dat het ook voor jongetjes kan! Congratulations on another beautiful pattern!